Resignation of William Ganong, KID’s attorney for 27 years. The actions of the new KID board majority and the new legal team have severely strained relations with other Klamath Project districts who have long had a constructive working relationship with KID (please see SID’s Letter to KID and KBID’s Letter to KID).From the very beginning of the KID board majority reign, secrecy has surrounded decision-making. The Oregon Government Ethics Commission is currently investigating Directors Cheyne, Knoll and Smith for alleged violations of the executive session provisions of state public meeting law. The complaint filed with the Commission explains how the engagement letter with attorney Larry Kogan was signed by KID Board President Brent Cheyne on February 28, 2016, although it was never reviewed or approved by the KID Board of Directors, as required by Oregon Public Meeting Law. In our opinion, the new board majority faction has been derelict in their duties as elected officials, particularly when all three boycotted a special meeting and an emergency meeting intended to address the C Flume crisis, thereby preventing a quorum from occurring, and eliminating the ability of the board to take action on signing the C Flume contract. Though the C Flume Contract was eventually signed, it wasn’t before allowing resistance from the few hold outs in the 269-16 vote in favor of replacing the flume to slow down the signing of those documents. KID resources are being depleted to advance what appear to be pet projects of the KID board majority. These projects have nothing to do with the purpose of KID, they do nothing to enhance water delivery to KID patrons. It does appear as though KID’s limited financial resources are being used to supplement the financial needs of outside interests in their ongoing battles, which are not tied to KID service deliveries. Spending money on a Federal Energy Regulatory Commission (FERC) process and working with the Siskiyou County Board of Supervisors to fight issues in California is not a good use of KID resources, nor are these in line with the fiduciary obligations KID board members have to KID. Chairman Brent Cheyne, Vice Chairman Grant Knoll, and Board Director Ken Smith make up an extreme faction of the Klamath Irrigation District Board of Directors that is steering our irrigation district down a dangerous road. There are serious issues at play here, and they need to be addressed. 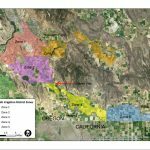 The actions of Mr. Cheyne, Mr. Knoll and Mr. Smith have not been shown to be to the benefit of the Klamath Irrigation District or its patrons. These board members have shown a lack of regard for the voice of the majority patrons, are under investigation for breaking Oregon public meeting laws, and have put the lives and property of Klamath County citizens at risk. Unfortunately, the investigation of ethics violations is just one instance of how the majority faction of the Board of Directors is out of control. Cheyne, Knoll and Smith have, at times, employed a seemingly dictatorial approach to leadership, casting aside the will and wishes of KID patrons in favor of pursuing what appears to be a personal, political agenda, and using KID financial resources to help outside interests fund their battles. We have seen this board majority faction improperly dismiss long-time KID employees without any explanation to the districts patrons. Meanwhile, they’ve hired two new attorneys from outside of the Basin who have depleted the district’s annual legal budget – in less than six months. Instead of fulfilling the mission of an irrigation district – to deliver water to irrigators, they’ve seen fit to get into the realm of water politics. 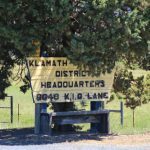 While suspending Klamath Irrigation District’s relationship with the Klamath Water Users Association, they’ve yet to explain how they intend to spend the over $200,000 that was budgeted for KWUA dues. This is a board that has gone out of its way to work behind the scenes to pursue an agenda that is contrary to the will of KID patrons. It’s time to get our board back under control. Read the Ethics Complaint against Board Chairman Brent Cheyne, Vice Chairman Grant Knoll and Zone 1 Representative Ken Smith: Oregon Ethics Commission Complaint Against Cheyne, Knoll & Smith.